← Was Kuhn more wrong than right? I attended the second of Alex Wellerstein’s lecture series on the history and philosophy of science for Harvard sophomores today (see last post for Alex’s response to my comments on Kuhn, in particular his excellent explanation of Kuhn’s ‘normal science’). This week, Alex dealt with the views of science of Karl Popper and Robert Merton, contrasting them with those of Paul Feyerabend. Popper is an extremely influential figure in the history and philosophy of science, so I’ll concentrate on him today and consider Feyerabend ‘s alternate views in the next post. 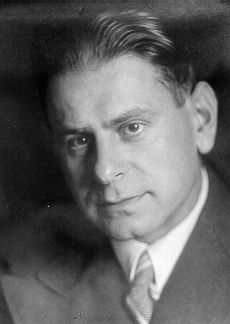 Karl Popper was an earlier philosopher of science than Kuhn. He was born in Vienna in 1902 and lived until 1994. Hence he experienced a great deal of 20th century political upheaval in Europe at first hand. As a young man, he was greatly interested in developments such as Marxism and psychoanalaysis, but he soon became seriously disenchanted with both. At the same time, he retained a great respect for science and his view of science came to be informed by the simple question: in what way is science different to other movements? (this is often known as the problem of demarcation of science and non-science). Popper addresses the question of demarcation in his seminal paper ‘Conjecture and Refutations; The Growth of Scientific Knowledge.’ In a nutshell, his view is that scientific knowledge progresses by guesses or conjectures; these conjectures are then subjected to severe critical tests, which they may or may not survive. A crucial point is that conjectures can never be verified; those conjectures that turn out to be highly resistant to testing are not proven ‘true’, but they are a better approximation to the truth than others. Hence, science progresses as a process of elimination (or falsification). In addition, the argument about whether a given conjecture solves problems better than its competitors constitutes the core rationality of science. [Note on philosophy: Popper’s view of science is a bit different to the earlier philosophy of logical positivism; the Vienna Circle of logical positivists believed that science progresses by verification, the determining of a correctness of a theory by comparison with experiment. Popper’s point is that one can never know if a ‘verified’ theory will later be refuted by experiment (philosophers call this the problem of induction; we should not make assertions about what we have not measured based on what we have). Instead, Popper believed that science works by falsification i.e. a gradual weeding out of incorrect theories. In this view of science, the emphasis moves from induction to deduction, a much stronger process. Further, the notion of falsification gives Popper a very neat answer to the demarcation problem; a theory is only scientific if it is falsifiable i.e. if there is a possibility that it can someday be disproved by experiment]. Among scientists, Popper’s view of science is still popular today; many feel it captures the essence of the scientific method in a very simple way and that it is a good approximation of how science actually works in practice. After all, your typical lab slave carries out experiments and then uses the data to rule out models that conflict with observation. Note that Popper’s view of science as a process of deduction also resembles how a detective works; police talk about ‘eliminating someone from their enquiries’, a process that resonates with scientists. 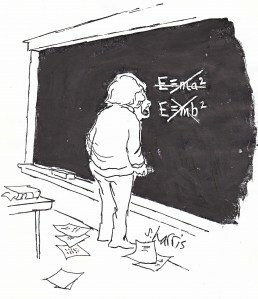 Note also that the current controversy about String Theory is exactly centered on the notion of falsifiability; ST critics point out that since current versions of ST make no predictions that can be tested by experiment, it is not falsifiable and is therefore not (yet) a scientific theory. 1. Nowadays, there is much criticism of Popper’s view of science from historians and philosophers of science. One major strand of criticism is that the notion of falsifiability is simply too narrow. In fact, almost all scientific theories are initially in conflict with data; it is only by a certain amount of tailoring and adjustment of theory and/or data that agreement is reached. [A good example of this is the case of Uranus; it was known for a long time that the observed orbit of the planet Uranus was in conflict with Newton’s theory of gravity. Rather than throw out the theory (which explained the orbits of the other known planets v nicely), astronomers postulated the existence of a hidden planet that was affecting the motion of Uranus (a very convenient explanation, if you like). In fact, just such a planet was later discovered (Neptune), and the prediction of Neptune is regarded as a great triumph of Newtonian mechanics]. However, here is the problem; how far should one go with such ad-hoc adjustment in order to preserve the theory? This is a serious problem and it immediately leads back to the issue of demarcation; at what point does the theory become non-science? The problem of ad-hoc adjustment that arises in the Popperian view of science was a major item of interest to Thomas Kuhn; as we saw in the last post, Kuhn’s resolution of the problem was to view science as being conducted within a dominant paradigm that endures quite a few challenges over time, during which scientists resolve conflict with experiment by adjusting the theory (or sometimes the data). Eventually, a point is reached when there are simply too many phenomena the theory cannot explain, and a shift to a new paradigm occurs. 2. A second major criticism of Popper (and Kuhn) comes from sociologists of science, who suggest that Popper’s view is how science should be done, rather than how it is actually done. This is because of the contingency of knowledge; our knowledge of theory and experiment, and our interpretation of each, can never be entirely objective but is driven by social context at least to some extent. This idea, that scientific knowledge is socially constructed, is a very important theme in the field known as Science and Technology Studies. In particular, we will consider the views of sociologist Paul Feyerabend in the next post. The amount of internet web directories will make selecting gadgets less difficult .